This post has really nothing to do with Netvouz but I just feel like mentioning it here anyway... I have bought a new toy! 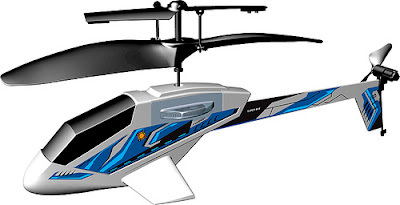 I've been looking for some small radio-controlled helicopter to fly a little now and then. And just recently I discovered the amazingly cool PicooZ from Silverlit. So I picked one up at a local store today. And I don't regret it. Can't see how you can have much more fun for just $40. At least not if you like radio-controlled stuff like I do! It's also the perfect companion for any programmer - charge it for half an hour and fly for 5 minutes. Gives you a perfect break from the keyboard! Anyone can think of a more sophisticated way to blow out your birthday cake candles! ?